Thunderstorms...some strong, especially early. Storms may produce large hail and strong winds. Low near 60F. Winds S at 10 to 20 mph. Chance of rain 90%..
Thunderstorms...some strong, especially early. Storms may produce large hail and strong winds. Low near 60F. Winds S at 10 to 20 mph. Chance of rain 90%. Janet Ann Pick, 75, went Home to be with her Lord and Savior on February 6, 2019. A memorial service celebrating her life will be held 1:00 p.m., Saturday, February 9, at Woodway First United Methodist Church, with Senior Pastor Bryan Patrick officiating. There will be a reception immediately following the memorial service. Janet was born October 28, 1943, in Floydada, Texas, to Malcolm and Juanita Bridges. She, along with her brother, Ray, grew up in Houston, Texas, where she graduated from Jesse H. Jones High School. She attended Southwestern University in Georgetown, Texas, and completed her B.S. in Education at the University of Houston on January 19, 1965. She married her high school sweetheart, Wayne Pick, on December 27, 1964. And soon after, she began a 31-year career working as an elementary school teacher. She and Wayne moved often with his job working as a Luby's manager, which gave her the opportunity to teach in Corpus Christi, Houston, Belton, and Waco, Texas. For the last 35 years, Waco would be the place they would call "home" and where they have been long time members of the Woodway First United Methodist Church. During Janet's teaching career, she received numerous awards and accomplishments including Elementary Teacher of the Year for Midway ISD. She was also recognized by Baylor University for mentoring their student teachers for over 15 years. She also served on countless committees and in many roles supporting her fellow teachers. In her last years before retiring, she was a 3rd grade teacher at Hewitt and Spring Valley Elementary schools. Janet's mother, Juanita, was her biggest influencer and reason for her lifelong interest in caring for and educating young people. Along with many other accolades, Juanita, herself, was recognized all over Houston and across Texas for her contributions for starting the kindergarten curriculum as part of the public elementary school education. Janet has always had a heart for serving others whether it was her family, friends, students, or the community. She taught Sunday School for 16 years and was also a youth director. And for 12 years, she was happy to travel with her son and his teammates on their Heart of Texas (H.O.T.) soccer team including being a team manager. You could always count on Janet to open her home for countless church and high school events, including Young Life and the Midway Jr. & Sr. Prom Breakfast. Janet especially loved hosting luncheons, showers, and celebrations for her fellow teacher friends. Janet was a strong Christian lady who loved her Lord, her family, and her friends. She could light up a room with her adorable giggle! She and Wayne had a beautiful marriage, and they were truly the best of friends. She loved her family with all of her heart, and she fully enjoyed every moment of being a mother and grandmother. She also enjoyed spending time with her teacher friends, whether it was going to lunch or taking a trip. Janet always made everything fun. She was a wonderful hostess, and she loved decorating their beautiful country home. You would have thought their home was straight out of a Southern Living magazine. She and Wayne loved their life in the country. They loved gardening, bird watching, taking care of all their animals, and relaxing in their gazebo as they enjoyed the beautiful view. She enjoyed life to the fullest! Janet was truly one of a kind, and she will be greatly missed by all who knew and loved her. She was preceded in death by her parents; and her aunt; and one of her closest lifelong friends, Dorothy Poe, of Tulsa, Oklahoma. Janet is survived by the love of her life and devoted husband of over 60 years, Wayne Pick; daughters, Elaine Morgan of Fort Worth, Texas, and Leanne Gaspar and husband, Clay, of Tulsa, Oklahoma; son, David Pick and wife, Stefanie, of Bella Vista, Arkansas; and four grandchildren, Grant and Colten Gaspar, and Averi and Laney Pick. She is survived by her brother, Ray Bridges of Houston. The family would like to extend their appreciation to the staff at Home Instead Senior Care, Living Springs Village, and Providence Hospice for their generosity and loving care of Janet and the family. In lieu of flowers, please make donations to Midway ISD Education Foundation at http://bit.ly/MEFMemorial, Woodway First United Methodist Church, or the Alzheimer's Association at 710 N 64th St, Waco TX 76710. 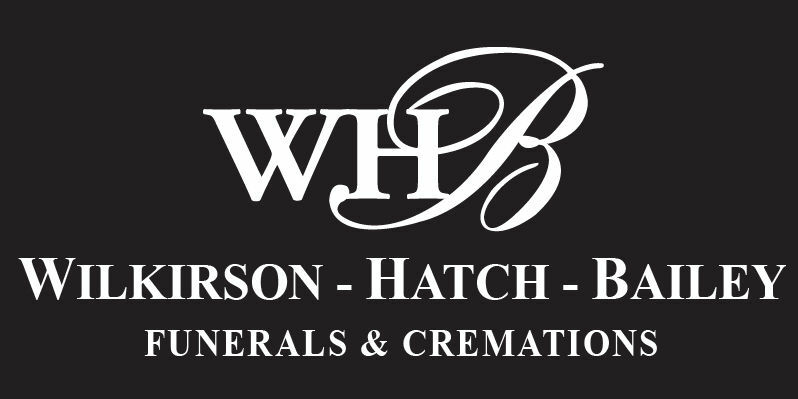 The family invites you to leave a message or memory in our "Tribute Wall" at www.WHBfamily.com. Wayne and family, so sorry for your loss. I have so many beautiful memories of Janet. We had such fun teaching together and our trips with our other 3rd grade teachers were remarkable. Angelfire was never the same after we left! Her positive approach to everything was such an inspiration to everyone.Please know that you are in my prayers. My prayers and sympathy are extended to the family and loved ones of Mrs. Pick. Keep your faith in the resurrection promised at John 5:28, 29. Soon God will put an end to all sickness, sorrow and pain. He will also do away with our enemy death as promised at 1 Corinthians 15:26. Pray for God's kingdom to come as Jesus taught us to do. Please be comforted by the words expressed at Revelation 21:3, 4. Remember: God keeps His promises and it is impossible for God to lie!